Moving up to Seattle, one thing that I wasn’t prepared for is the mammoth amount of biodiversity that the entire state has to offer. On a Macro Level, Washington State has an incredibly unique and diverse ecological footprint. 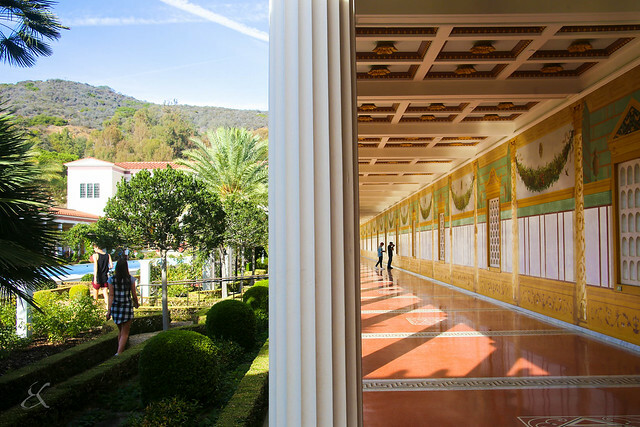 The West Coast oscillates between a Mediterranean Climate over the Summer and a blustery, Marine West Coast Climate over the Winter. Nestled on the top North West corner, the Olympic National Forest is home to 4 distinct rain forests, the Hoh, Queets, Bobchiel and Quinault; the Hoh Rain Forest ranks as one of the largest temperate rain forests in the United States, let alone the North West. On the flip side of the Cascade Mountains, which act as a rainshadow, Eastern Washington boasts a vast high desert featuring a dry, arid climate that includes the Juniper Dunes Wilderness and Channeled Scablands, both carved out of land that acted as a flood basin during the last Ice Age until multiple cataclysmic floods washed through the region. All things this girl is excited to explore! Dropping into a micro level, Seattle proper is an oceanic seaport city that sits comfortably between Elliot Bay, Lake Washington and the Puget Sound which provide some sanctity from extreme heat and cold, while the geoclimate features a wonderful range of local flora and fauna. Moving at the end of the Winter Season means that we’re prepping for the glorious weeks of Spring then Summer, and you best believe this California Kitten is ready to frolic in the succulent sunshine. 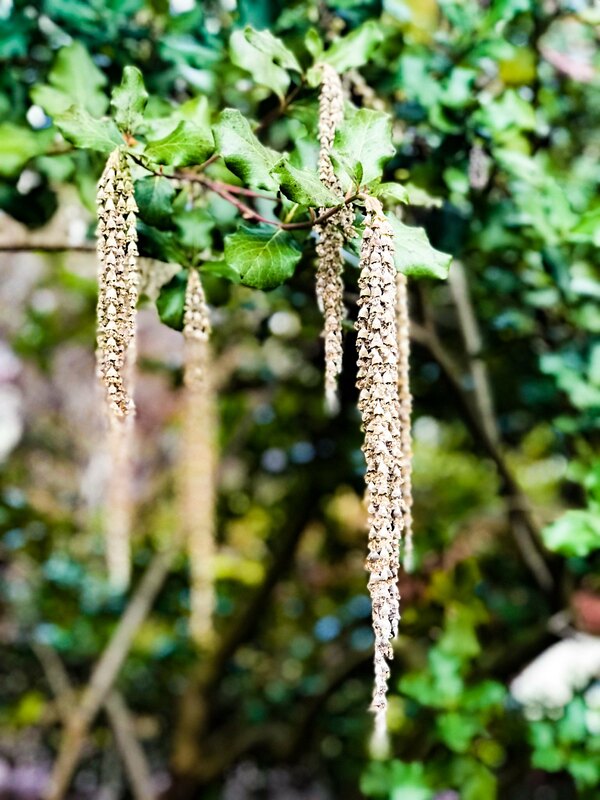 But, rain, shine or clouds – every second I can, I’ve been exploring nooks and crannies of the area with a sense of childlike wonder and amazement: the weather has ensured everything is lush and lavish, with parks on literally every corner. Not to mention, the myriad of bays, cuts, rivers, sounds and lakes give way to infinite amounts of waterway views. 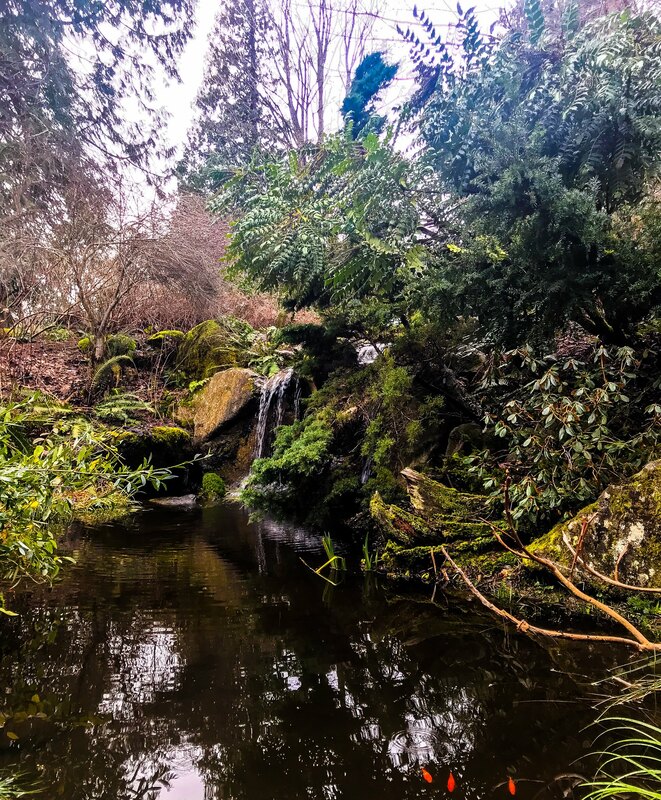 Every day, you could explore a new partition of the area – and lookup parks, or gardens, and find you’re surrounded by enough to have to make a game time decision; and that’s exactly how we happened upon the Bellevue Botanical Garden. 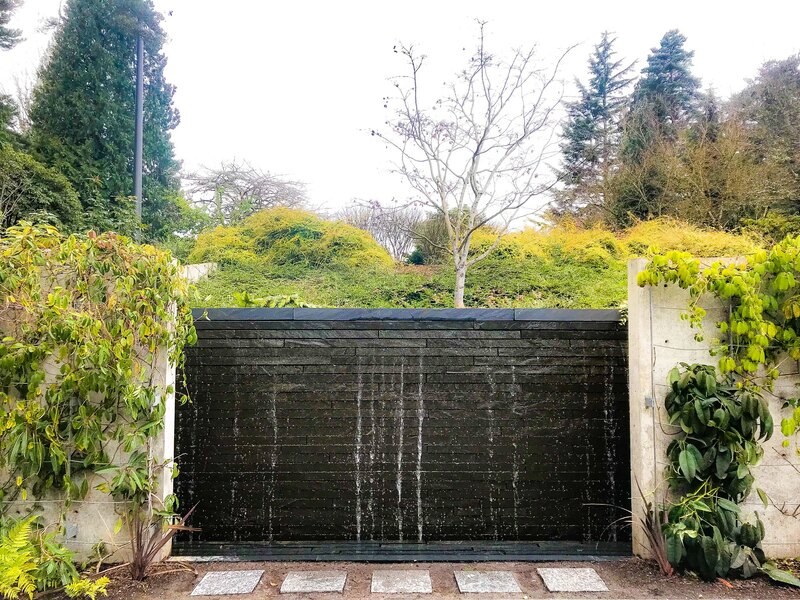 Just a hop, skip and a jump over the freeway from Seattle proper by bridge sits an urban oasis sprawling over 53 acres of gorgeous landscaping; complete with both restored and natural wetlands and woodlands, alongside expertly cultivated and curated gardens. We came across it quite by accident and in the middle of Winter, the landscape gave way to vibrant flowers, and buds just itching for the right amount of sunlight to get their bloom on; and I can’t wait to visit again on purpose and revel in the flowers’ maturation. 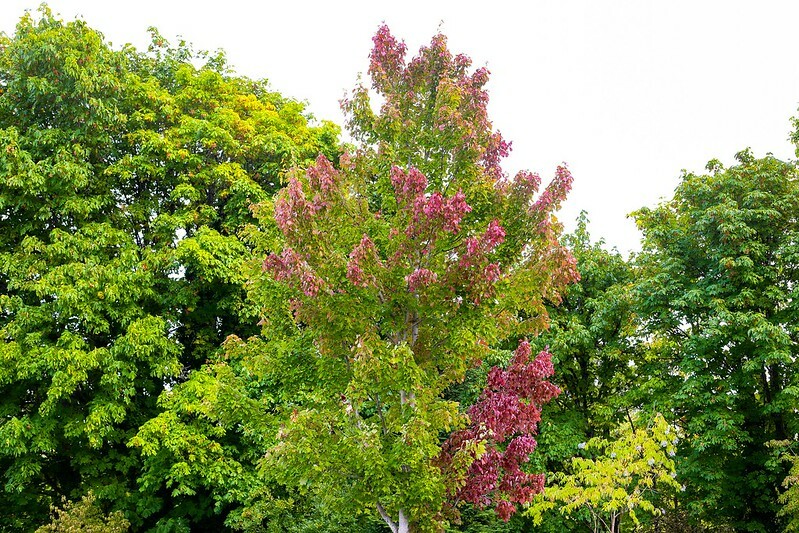 Back in 1981, a couple by the name of Cal and Harriet Shorts deeded over seven acres of land, as well as their home, to the city of Bellevue in hopes of creating an arboretum and public park in the heart of the city. A little over three years later, the Jewett family were inspired to create a Botanical Garden on the property; with the city, and the Shorts, approval, the Bellevue Botanical Garden Society was launched to create the Garden itself, while the city added ten additional acres to the already blossoming landscape. Fast forward to 1989, and Bellevue managed to incorporate 19 more acres of land surrounding the Shorts estate – bringing the acreage up to 36; and finally, in 2006, the Botanical Gardens reached their current 56 acres with assistance of the city. 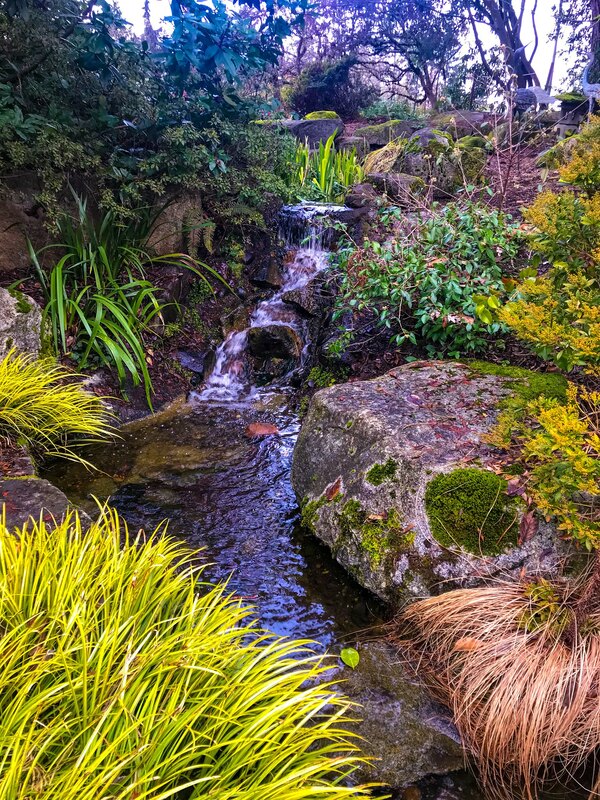 Now one of Bellevue’s most popular destinations, the Botanical Gardens has a menagerie of habitats, from woodlands and meadows, to natural wetlands and gorgeous display gardens, like the Japanese inspired Yao Garden, the Lost Meadow Trail and fuchsia, dahlia and rock gardens. 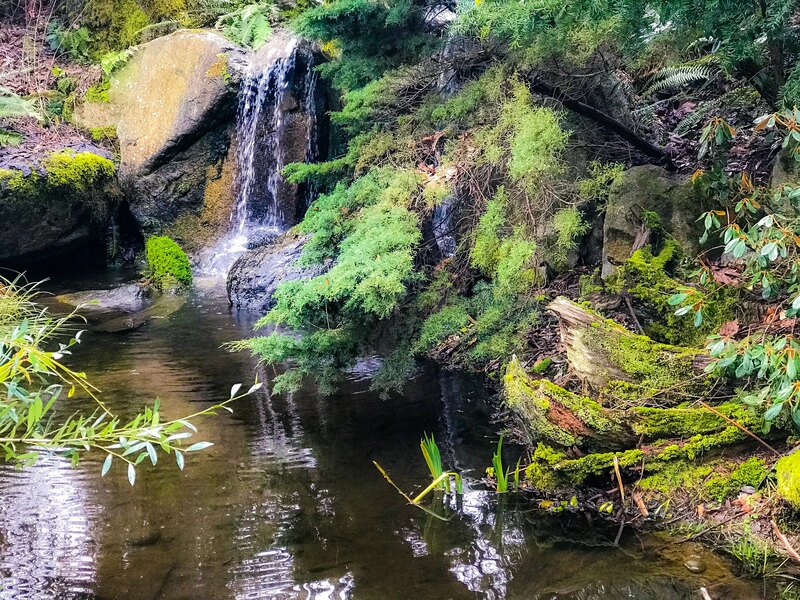 With ample space to stroll, and lose yourself in this delicious slice of nature. This garden is such a hidden gem, that even though we were there to gallivant through it on a Sunday, it felt like we were the only ones there; it was glorious! What are your favorite hidden gems in your city? 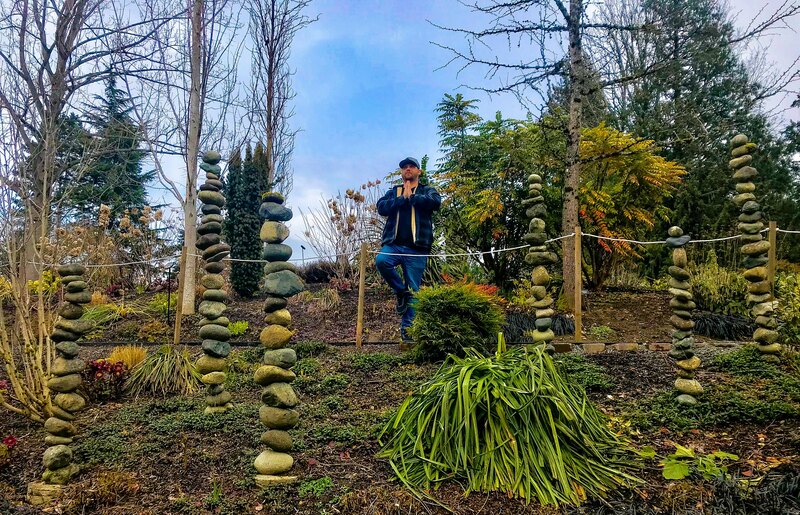 For more on the Bellevue Botanical Garden, head to their social channels or simply pay them a visit – I promise, it’s a worthy afternoon and you will not be disappointed. 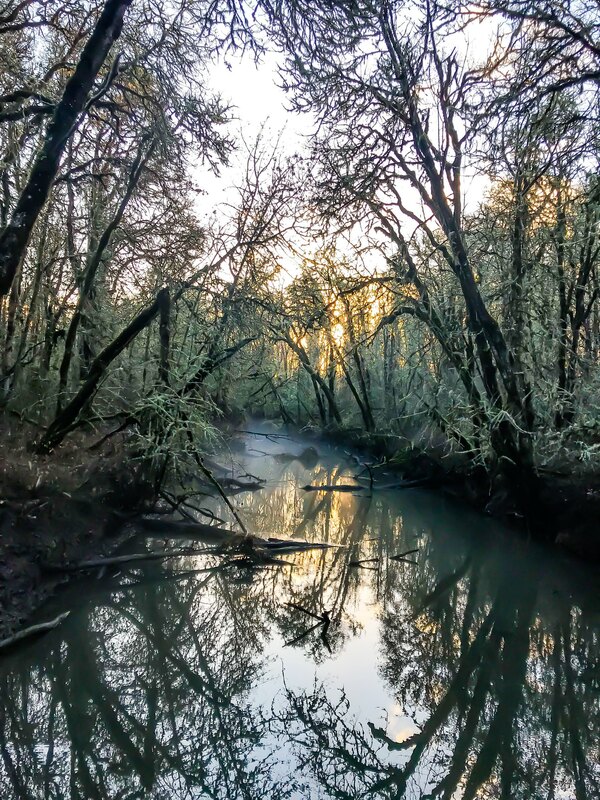 Tucked deep in the heart of Corvallis sits a whimsical wildlife habitat; a home to many seasonal creatures as they make their semi-annual migratory routes. 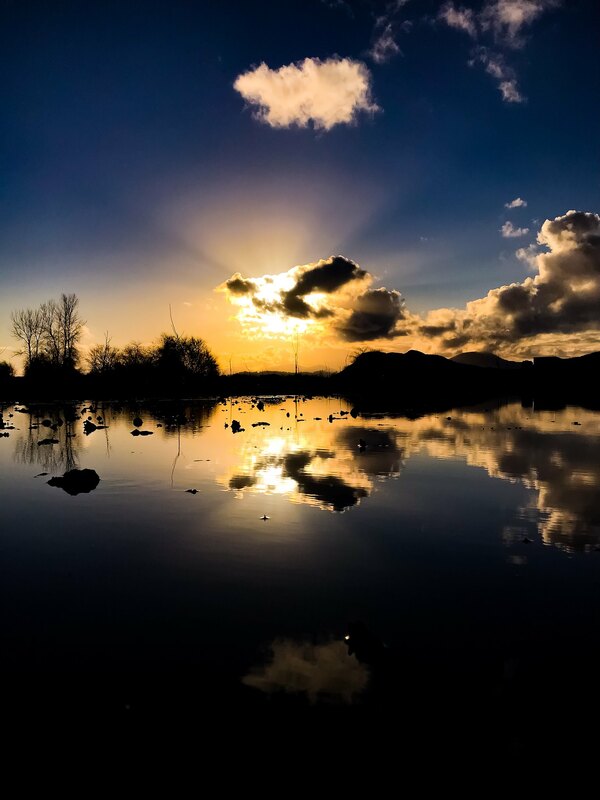 Created back in 1964, the William L Finley National Wildlife Refuge is a preserved natural land area in the Oregon’s greater Willamette Valley and is notorious for the flocks of dusky Canada geese that frequent the landscape. 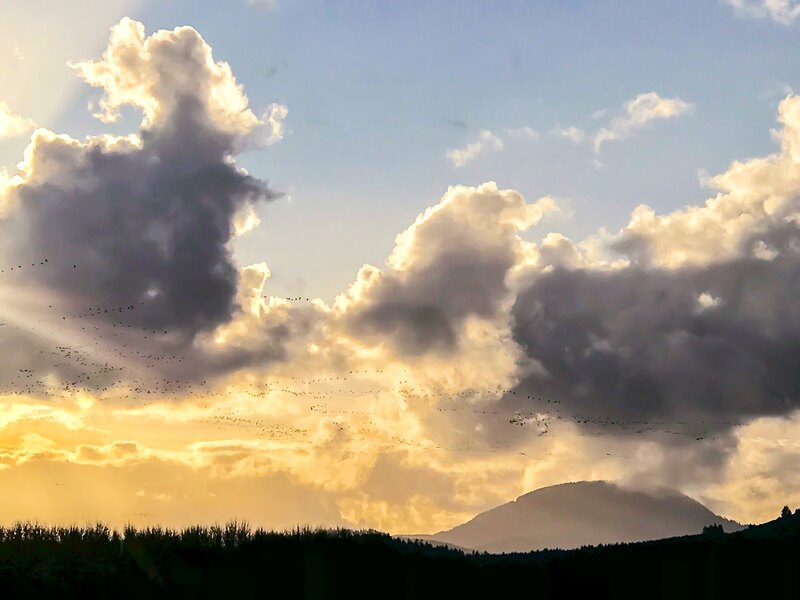 Unlike typical Canadian geese, their dusky cousins nest and mate along the Copper River Delta in Alaska over the Summer and visit the vast acreage of wetlands of the Finley Wildlife Refuge during the colder, Winter months. One of the last intact wet prairies in the area, the refuge was a reaction to the Great Alaskan Earthquake of 1964 which diminished the available natural land for dusky Canadian geese. Fast forward almost forty years and in 2006 the Snag Boat Bend Unit was acquired as a partition of the reserve, adding almost 350 acres of unique, historic habitat to the already sprawling 5,300 acres of wetlands covered by the Finley Reserve. Beyond the dusky Canadian goose, the William L Finley Wildlife Refuge also plays homebase for a variety of flora, fauna and fowl throughout the year with a handful of habitat regions on site, ranging from wet prairies on the East End to sprawling wetlands off of Muddy Creek, or to the upland Oregon white oak savannas and forests. On any given day, you could run into a menagerie of birds and waterfowl from migratory raptors like the rough-legged hawk to turkey vultures, peregrine falcons, golden and bald eagles, to great horned owls and geese, great blue herons, wood ducks and swans, woodpecker colonies and meadowlarks; not to mention the herds of Roosevelt Elk, blacktailed deer, coyotes and bobcats, alongside pond turtles, red legged frogs and the endangered yet recently re-introduced Fender’s blue butterfly. For a full spectrum of the Refuge, I highly suggest returning throughout the year. Even though Winter is wonderful to observe the migratory patterns of waterfowl, November marks the beginning of ‘Sanctuary Season’ which closes off the interior or the park for resting animals; the season end on April 1st, and all interior trails are opened once again. 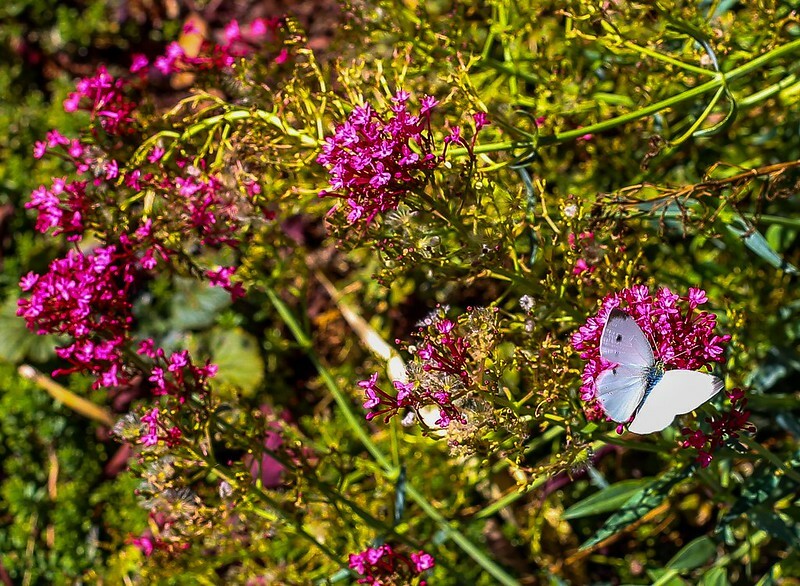 Whether you’re hiking, cycling or simply just observing the world at large, the refuge boasts a menagerie of looping trails and rolling hills throughout the grounds, offering over a handful unique hiking paths that cover over a dozen miles of land. For those looking to stay lazy, fret not – there’s an auto tour route with ample roads for roaming. Posted every now and again, you’ll find neat tidbits and educational facts on the nature and ancient nurture of the area. 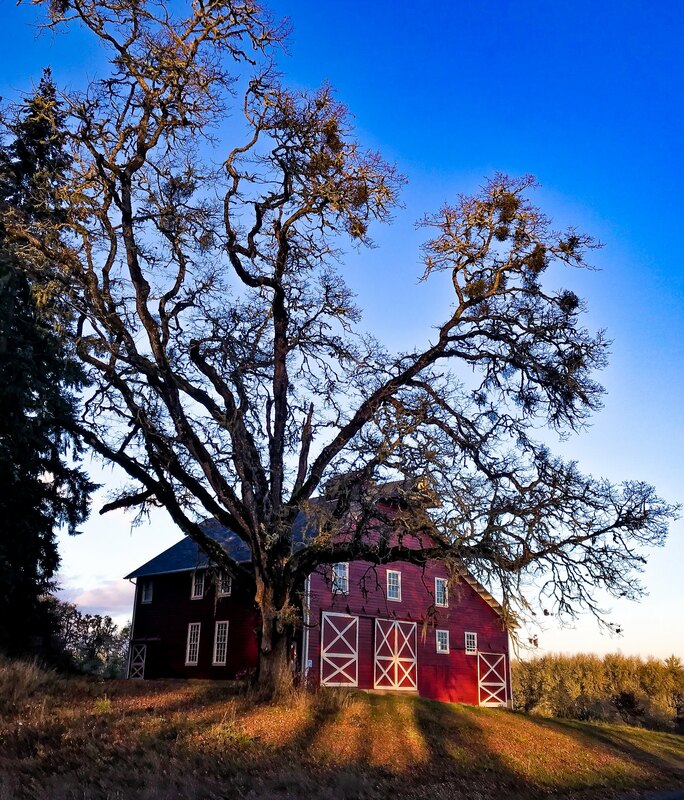 Originally, the land was settled by the Kalapuya tribe – a conglomeration of thirteen related tribal groups speaking three distinct languages among themselves; each tribal group inhabited a specific area along and around the Willamette River. With the volcanic Cascade Mountains nearby, tribes around the river effectively fashioned obsidian arrowheads and spears; if you look hard enough, you can still find obsidian artifacts and minerals in the area to this day – including in the grounds of the Wildlife Refuge. 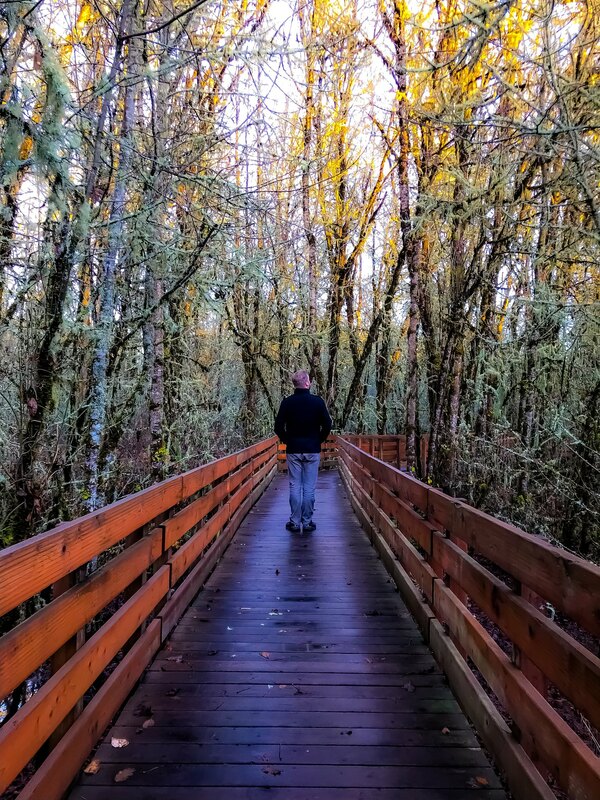 On the other end of history, is the Willamette Valley segment of the Applegate Trail, first used in the 1840’s – it’s a more southerly trail than the Oregon Trail sauntered through by European Settlers. 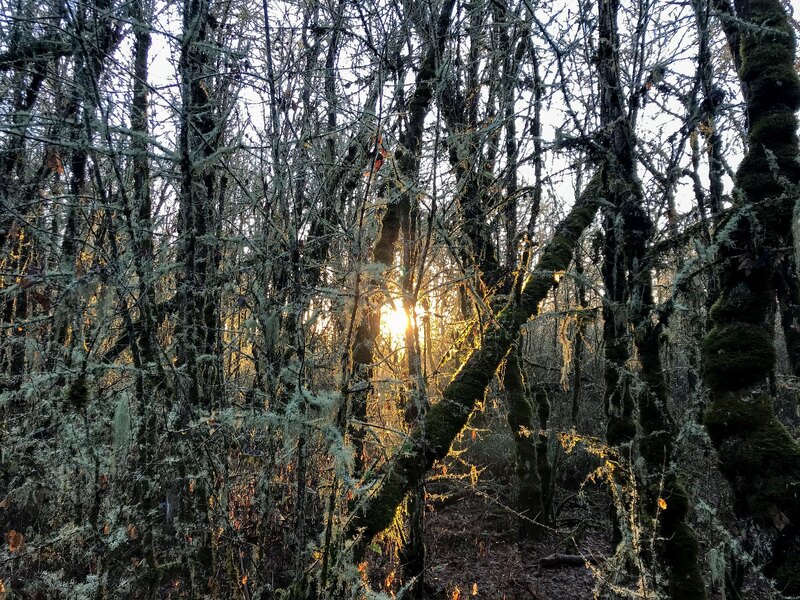 For more on the William L Finley Wildlife Refuge, head to their social channels – or simply go pay them a wonderful visit; I promise, it’s worth it! What are your favorite spots to observe the wistful, wonderous wildlife in your town? Let me know in the comments below! Moving to a new city, let alone a brand new state, can be a harrowing task to say the least. A move of any magnitude is a great time to spring clean the mind, but when you’re adjusting to an entirely different location I think it’s important that you take up some hobbies, both new and old, to ease yourself into your new environment while it becomes your new home. Your old hobbies will get you back to basics, back to the core of you – it’ll remind you that home is and always will be in the sacrament of the mind and the spirit of the soul; while your new hobbies will transform your mental state into being present, letting go of the past and who you used to be in order to become who you need to be, who you desire to be. My hobbies back in Los Angeles which are currently filed as ‘something old‘ include writing, sketching, photography, and beadwork; essentially home-based creative activities I could file under “things to do with my hands when bored”. Post-move, I’ve realized I’m not in Kansas anymore…er…rather, California anymore; I’ve gone from enjoying a keen understanding of the geography, topography and landscape of world around me to having a childlike sense of wonder and amazement about this new natural world around me, and suffice it to say – there’s simply so much to learn about, from nature photography on any of the hundreds of local hikes, to hunting for rare minerals, geocaching and my newest favorite – foraging for fungi. As you learn to leave and let go of unnecessary mental connections to where you were, you begin to forge new networks, shedding pieces of the life you once had to create yourself anew – mushrooms are very similar; with growth as their only form of mobility, fungi straddle the perpetual edge of life and death, not to mention animal and plant, all the while communicating as one in the mycelial network. Ranging from neutrally colored and more natural, to delightfully vibrant and oddly formed, Fungi are the primary decomposers of earth’s ecosystem, and a wild menagerie of them at that! Many have medicinal qualities, which indigenous tribes historically as well as presently still use for a variety of treatments. 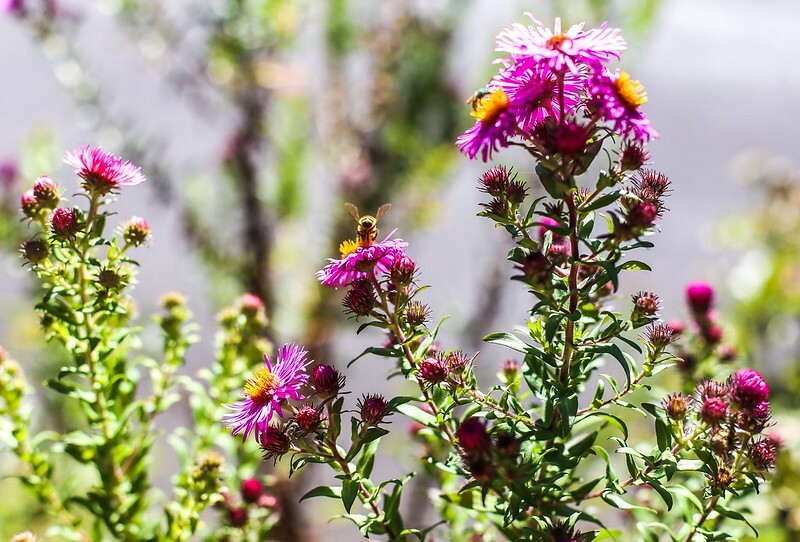 Some boost the immune system, while others increase levels of antioxidants, or destroy abnormal cells; some stimulate the libido or assist in nerve regeneration, while others open the mind and aid in treating depression and anxiety. Some have magical qualities, featuring various doses of psychedelic psilocybin, boasting immense psychological benefits which are finally being taken seriously by the FDA. These types of mushrooms are championed by the likes of Terence McKenna, infamously quotable ethnobotanist who gave us the ‘Stoned Ape Theory‘, internationally renowned mycologist Paul Stamets and the indelible Joe Rogan. For anyone that’s watched the latest Star Trek Discovery series, you might note that their chief medical engineer shares the same name as well as the same mycelial ideologies of the earthborn Paul Stamets, and follows his book Mycelium Running very closely; anyways – the trekkie in me digresses. Last but certainly not least – a small handful are incredibly toxic, deadly toxic if you will, with several mimicking their benign cousins. This makes it incredibly important that you do your due diligence when researching, and save snagging them for your meals until you have a keen understanding of harmful versus helpful mushrooms. They’re not animals and they’re not vegetation – so what exactly are fungi? Fungi can then be separated into three distinct groups based on how they get their nutrients. Mycorrhizal Fungi, which are symbiotic fungi, live in harmony with the plants around them. On the other hand, Saprophytic Fungi live on dead organic matter instead of assisting in its decay. Finally, Parasitic Fungi are the cause of vegetative decay, as well as the recipients of all the nutrients. Mushrooms are considered the fruiting body of a variety of fungi, other types of fruits are algae and molds – but for the most part, fungi exists at a microscopic level that goes unseen to the human eye. Fungi are used as antibiotics, to ferment food and alcohol, and even as detergent; you might be surprised at how many everyday items you use that have been treated with some form of fungus. So, how about mushrooms? As the spore bearing, fruiting fungus body – mushrooms occur in technicolor and can take a menagerie of different shapes. Young mushrooms, often referred to as buttons, are primarily a cap and a preformed stalk under a universal veil. Over time, the cap will expand in an umbrella like fashion with either spores, gills, teeth or veins to show for its work while the stalk simultaneously gets longer. Some mushrooms have a cup at the base of the stalk which is often deep in the dirt – so when foraging, remember: dig, don’t pick! If you weren’t already sold on mushrooms, here’s a few facts that make them even more amazing to me. The Oyster Mushroom is one of a handful of carnivorous mushrooms, along with the Shaggy Ink Cap. The world’s oldest and largest mushroom is the Honey Mushroom, sitting on over 2,300 acres of soil in Eastern Oregon’s Blue Mountains, and dated between 2,400 and 8,600 years old. There’s over 70,000 species of fungi – but we’re not done finding them! So, now that you’re more up on your mushroom game – let’s talk about the best tips and tricks for finding those fungi and hunting down some of the coolest creatures on our planet. The best thing about this type of hunt? No weapons necessary – just some keenly attuned eyes and your roaming feet. If you notice one visible mushroom, the fruiting body of the fungi, take a step back and see if you can notice any others. Mushrooms populate in a line, or rather, a circle stemming from a fungal epicenter. The rain brings good things, including the proper climate for mushroom hunting. 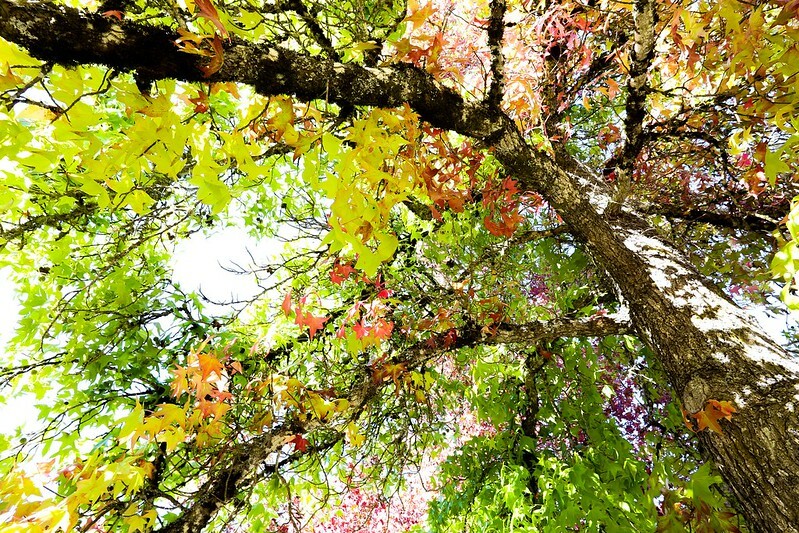 Depending on where you live, California and Oregon see their season at the beginning of Fall and Winter (but really, it’s pretty year round in Oregon), while the East Coast has its best seasons around early Spring. A rule of thumb is to wait two weeks after two inches of rain have accumulated. Most mushrooms have affinities towards specific weather conditions, as well as specific types of trees. For example, king boletes enjoy spruce, pine, oak and birch trees; chantrelles prefer conifers and oyster mushrooms will defer to aspens. For those going the picnic basket method, leave the bottom open for the mushrooms to spore as you travel so the next explorer can enjoy them as well! You don’t even want to know how many people get lost in the woods every year searching for mushrooms, so please don’t be part of the statistic. The Gaia GPS app is an excellent resource if you’re willing to get the Pro version! Put the fun in fungi and remember to enjoy yourself! When you find your magical, mystical mushrooms – document that sucker! Take a few photos that accentuate the colors of the top, the bottom of the cap – to see what types of gill or pore the fungi boasts, and the stalk of the mushroom – then step back and get a photo of the scenery; if your phone doesn’t geocache your location for each image, or you don’t want it to – trust me I get it, drop a pin in your map application with a note about what you found so you can come back and see how it’s grown. I can’t stress this point enough: even though many fungi are fun to spore on paper and there are a good amount that are both edible and tasty, like I mentioned earlier – be very wary! Collect what you will and document it all, but not just are some fatally toxic, but others will give you awful indigestion and a good amount simply taste downright awful and you won’t want anything to do with them post-pick or post-pic. As this is the modern age and it’s a bit untoward to carry around dozens of nuanced encyclopedias – I’m accumulated a list of amazing smart phone apps to try while on the go. Most seem to be bi-phonal, but I’ll make a note when certain ones are unavailable to either vertical. One things for sure, if foraging for fungi is fun alone – imagine how great it could be with the right company! From Facebook groups devoted to the Pacific Northwest to National groups, here’s some of my personal favorites. What are some of the best tips and tricks you’ve learned for fungi foraging? Let me know in the comments below! As of this past weekend, Summer officially gave way to Autumn and up here in the Pacific NorthWest, we’re experiencing all the Fall colors in all of their glory. 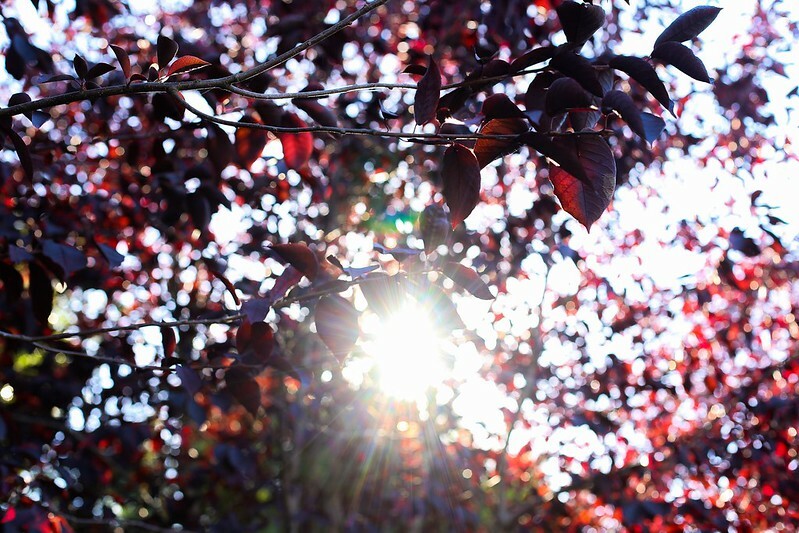 There’s a cornucopia of shades springing out from all the flora and the fauna; flowers, trees, bushes, ivy – you name it, it’s changing – and essentially right in front of your eyes. 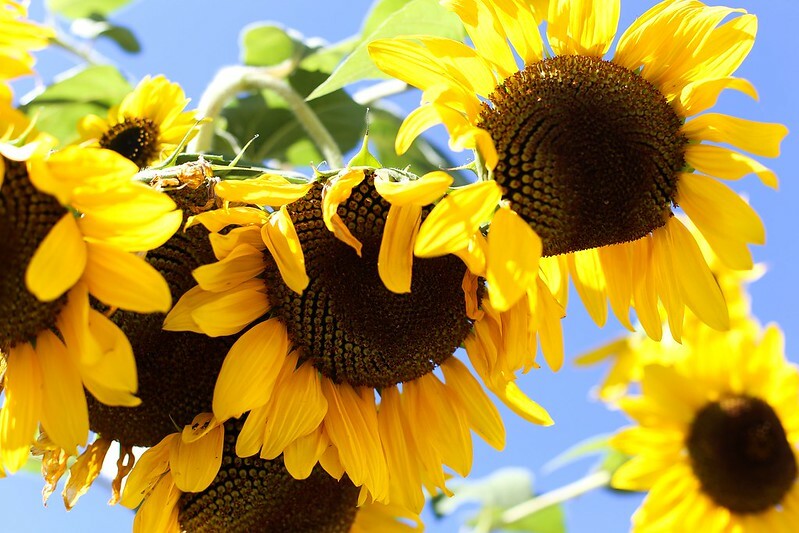 Sunflowers, Rhododendrons and Roses are shedding their vibrant petals, much to the late season chagrin of bees and hummingbirds. 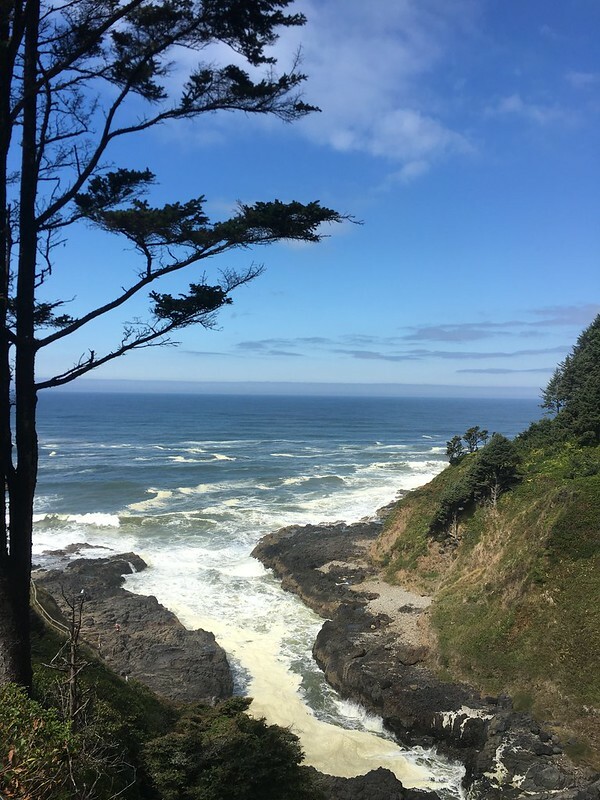 With our recent move up to Oregon, some of the top comments we’ve heard across the board are about the abundance of unfavorable weather and consistent rainy, grey skies; neither of which I’ve had the pleasure of experiencing yet. 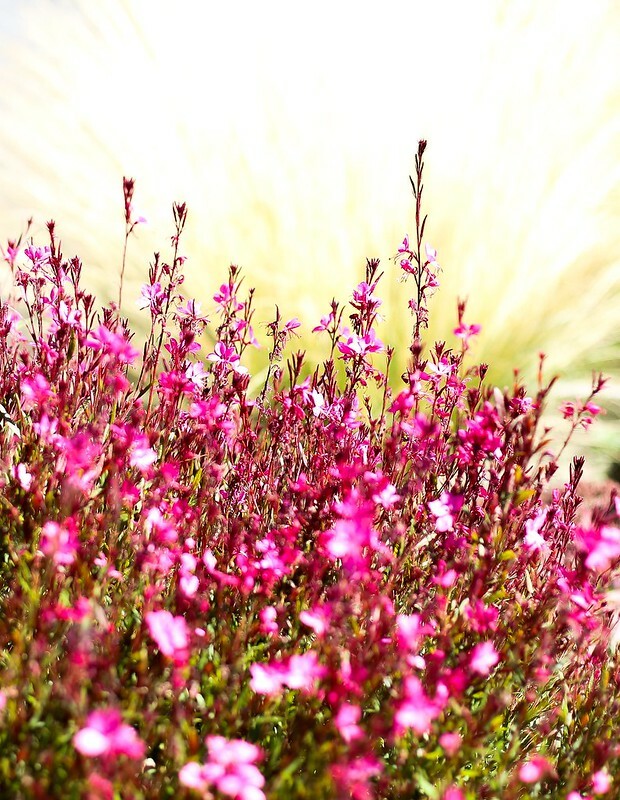 Instead, I’ve taken full advantage of the sunshine, with the Canon 6D in tow and gotten to know the new neighborhood. 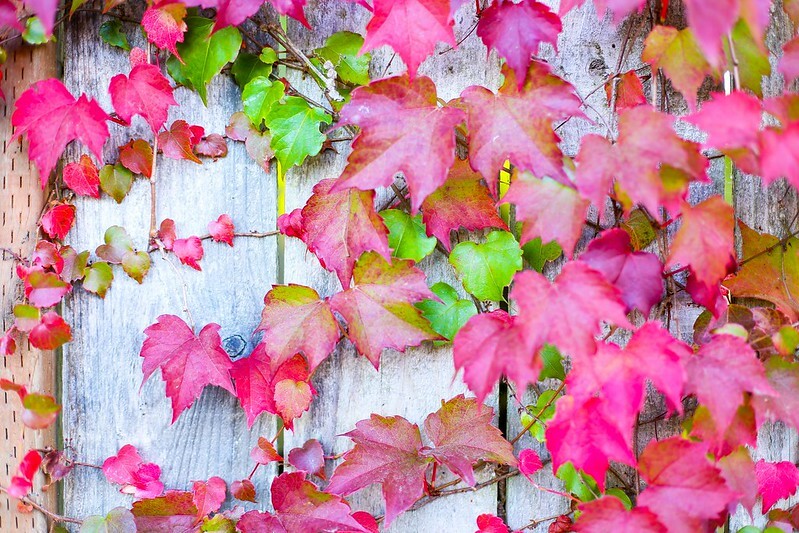 Not to mention, Fall is an excellent time for letting go and turning into oneself to rediscover what makes our inner fires burn brighter. watching as leaves descended in a dizzying dance to the ground, it felt like I was letting go of my past, and shedding my seasoned skin for a chance to refresh the soul and hibernate the spirit, only to emerge refreshed next Spring. 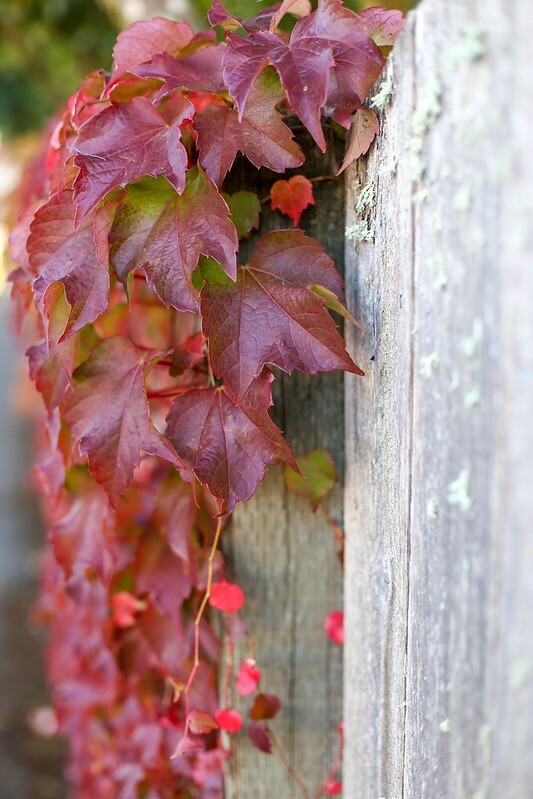 Here are some of my favorite snaps of the change in season; can’t wait to share more! 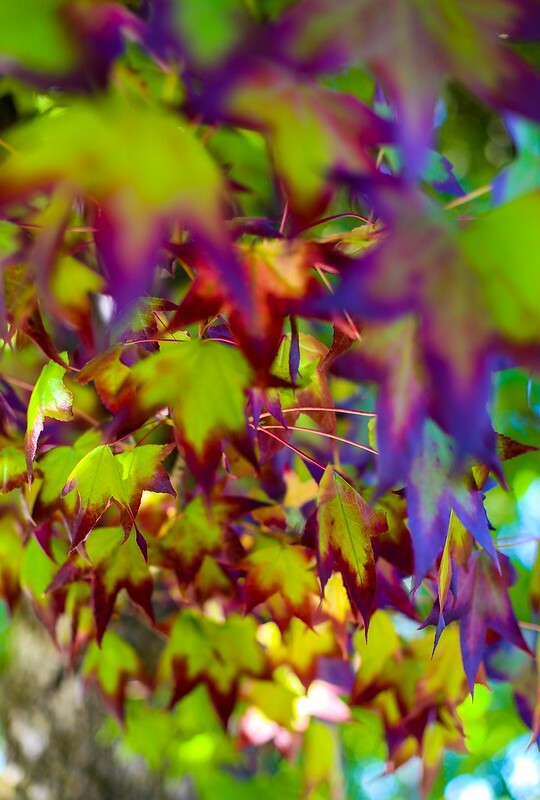 For more on the beauty of Fall, or just Corvallis, check the Flickr Album! By and large, the best thing about living in California was the not just the proximity to, but vast amount of National Parks and National Forests within a stones throw. From Southern California’s Anza-Borrego Desert State Park in San Diego to the Antelope Valley Poppy Fields, Joshua Tree and the Angeles National Forest up to Big Sur, Sequoia and the Redwood Forest of Northern California – the state is rich with magical nooks of nature and luminous landscapes. But – I no longer live in California! Last year at our wedding, Danny and I promised each other that within a year, we’d be making our way up through the Pacific NorthWest and into the wonderful state of Oregon. Like many good thoughts, it sat on a shelf of our minds that we would dust every so often with life changes, epiphanies and our growing love for each other. A few weeks ago, we realized that our time in California felt like it was slowly slipping from us. We wrote lists for pros and cons, rights and wrongs and then we realized: there will always be something to second guess, and hold you in place – there is beauty in calmness, but there is growth in chaos; there is no perfect time for your next big adventure, because the time will always – and forever will be – NOW. So, one year to the date of our wedding – we looked, and then we took a leap of love and moved ourselves, and the kitties, up to the wonderful town of Corvallis, Oregon where my father grew up and now resides again. 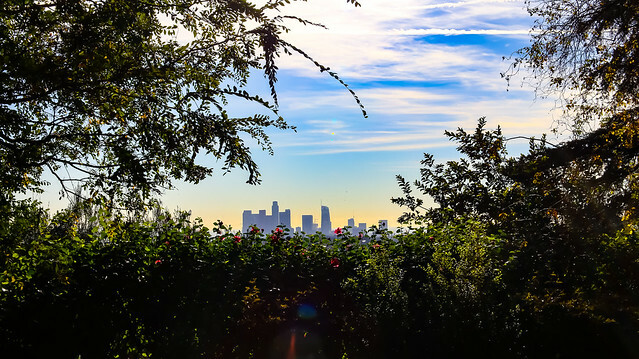 While we were living in Los Angeles, even though nature was just a hop, skip and a jump away – that hop, skip and a jump came at a cost: crowded roadways leading to overpopulated parks, where each nook and cranny was taken over. Up in Oregon, it’s a horse of a very different color. 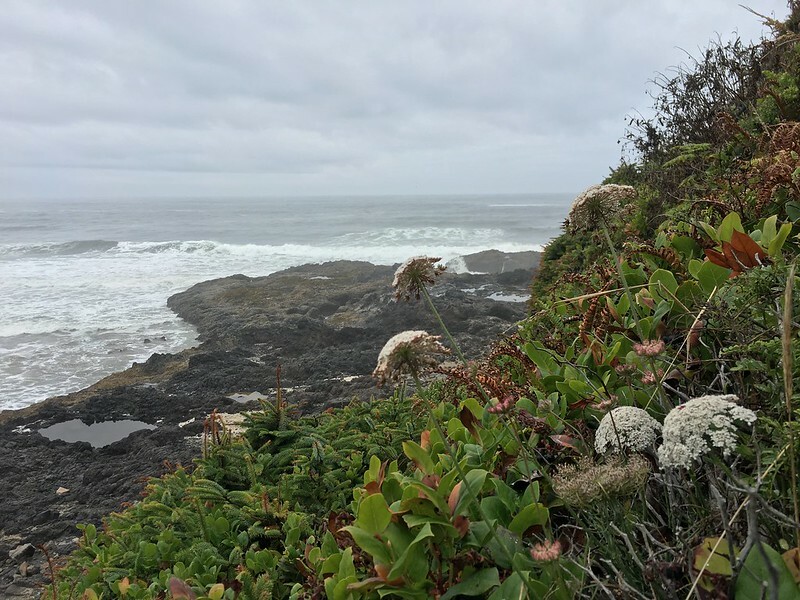 Just the other weekend, we took to the Emerald Coast, paying visits to Newport, Devil’s Churn, Thor’s Well and Yachats; up and down the beach, you could take in the coastline for miles and miles – and barely a soul was there to share it with us. Traveling the beaten forest paths, we would run into a small group of family maybe every other mile – if that. 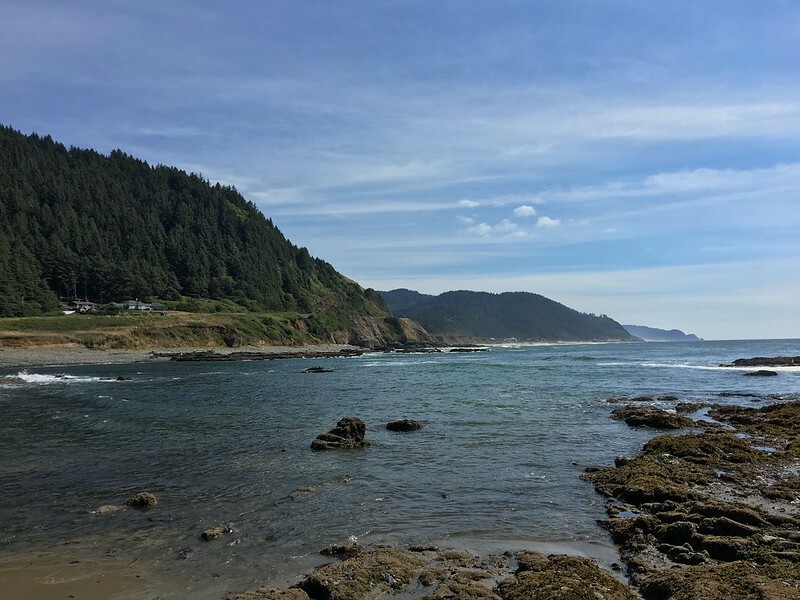 Not to mention, the Oregon Coast is what happens if you merge the majestic coastlines of Big Sur with the sprawling forests of Sequoia – it’s just that beautiful! Nearly every beach boasts a bevvy of tide pools, full of technicolor sea anemones and itty bitty crabs. Crawling over the porous coastline near of Yachats with Cape Perpetua in the background, Danny had a hunch that we were frolicking over a volcanic vein – a little bit of GTS later, and low and behold we were! 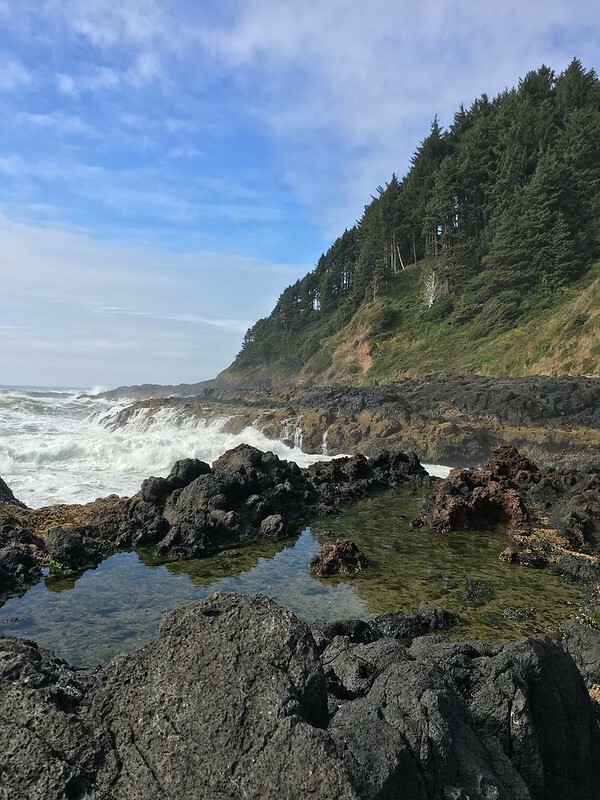 As if the sprawling landscape of the Oregon Coast wasn’t enough to make one feel infinitesimal it turns out, Cape Perpetua is a now dormant volcano, last active over 50 million years ago! 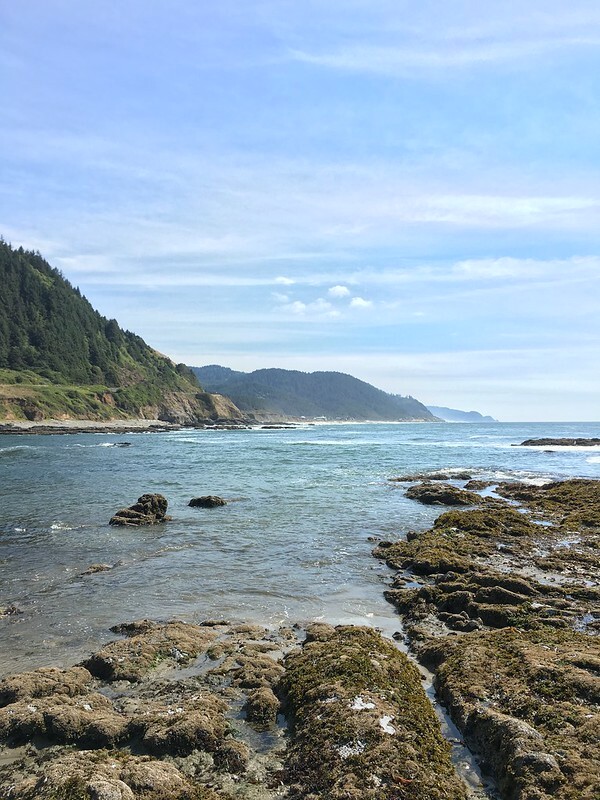 Growing up, I had a favorite beach in Yacahats – Bob Creek Beach; my family would flock there from early morning to sundown, picking blackberries along the way. Some of my favorite memories of being with my grandmother and her family involved skipping down to the shoreline during low tide and browsing the wares the ocean waves had brought us. The beach itself is famous for its agate hunting, and combined with the idea that an old volcano slumbers sweetly nearby, it makes all the more sense. We came away with so many goodies, and I can’t wait to start including them in my crafts and jewelry up here! When we weren’t up to our wrists and ankles snagging promising rocks and scoops of sand off the rocky shoreline, we were adventuring as far as we could see. If there’s one thing you should know about me, it’s that I’m a sucker for a great reflection shot – and living in Oregon is going to be this kitty’s photographic dream. 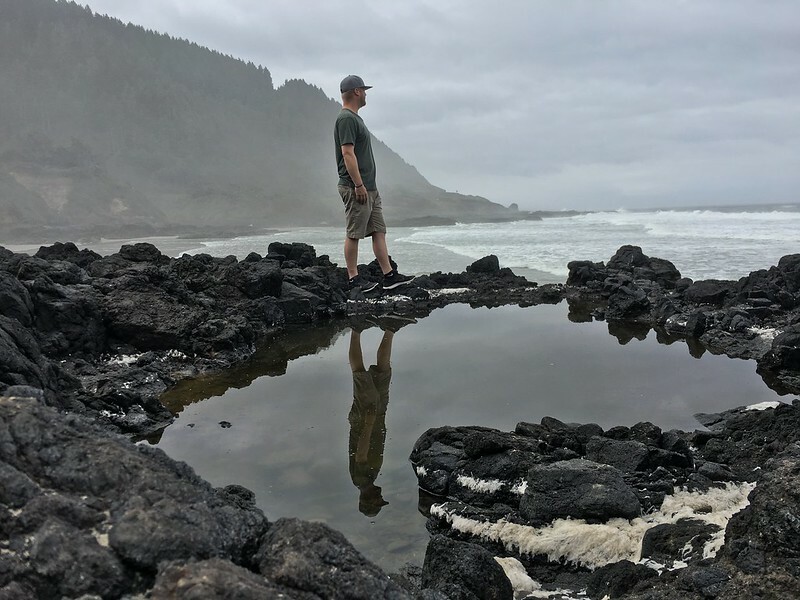 Another apt lesson that we learned is while in Oregon: if you want an adventure, go on an adventure; if you’re going to sit there and worry about the weather, maybe just move back to California. The weekend we went out to the coast, the forecast was 60 and scattered clouds with sprinkles; good news, we didn’t actually check until we were already out there. Instead of checking on the chances of rain or shine pre-trip, we simply packed for a weekend of whimsical weather where we took all the options into consideration: sandals, hiking shoes, sweaters, tank tops, swimsuits, the works. It looked like we were leaving for a week vacation even though it was just a few days, and I’m proud to say that for once my overpacking worked in my favor. The first day on the Coast boasted salacious sunshine, only to be slowly overtaken by the marine layer during the evening, the next entertained patchwork clouds and a light mist, while the last was one of the most beautiful days I’ve ever experienced. Clouds danced along the horizon expediently, taking shape after shape in front of our eyes and crafting eerie shadow pockets into the water. Cruising over to Devil’s Churn, we could see the tide had overtaken the shore we’d been sitting on the day before, bouncing waves off the sides like a handball game of epic proportion. As we gathered our things to head home, we had to make two last pivotal stops. First, we were on a mission for some of the freshest fish and chips and oysters a kitty could eat. Heading out to the coast where Highway 20 canoodles with the Pacific Coast Highway, the main town – Newport proper has an incredible arrangement of restaurants, including a personal favorite Local Ocean; but, we’re ballers on a budget and were looking for something a little more ‘hole in the wall’ – and let me tell you: we found it. Just a little south of town, across the bridge and close to the Oregon Coast Aquarium, you’ll find the South Beach Fish Market. Featuring fresh catches from the day, whole Dungeness Crabs and oysters as big as your face, we stuffed our mouths to the brim and kept our pockets full. As we lingered longer, we realized we were in no rush to actually hurry home – so instead we kept our eyes on the Corvallis-Newport Highway. Lined with thousands of shades of green on millions and millions of trees as far as the eye could see, Highway 20 contains a lot of little loops through the forest, into a land far more wild in Western Oregon than I’d ever seen, including unpaved roads and covered bridges that brought me back to the days of the Oregon Trail. The scenic way seems to be the only way for me, and I’m very okay with that. The more time I’ve spent in Oregon, away from highway interchanges, bustling crosswalks, and the dense vivacity of California, the more I’ve realized this is where my soul truly resides: somewhere lost in the forest, full of wonder. 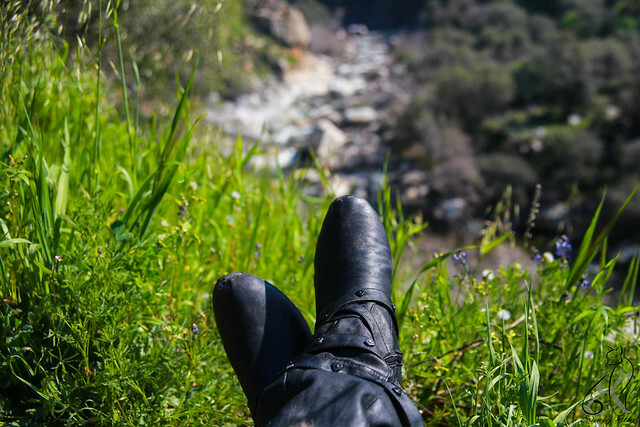 What are some of your favorite spots of hidden nature? Ever just feel the need to get away? Not to necessarily escape from life, but to take a midweek vacation from all the humdrum stress of your vocation and whatever else might be plaguing or mentally exhausting you. Lately, there’s been this large itch to jump in the car and not be home – maybe it’s the incredible heat waves we’ve been having in Los Angeles proper, maybe it’s the fact I’ve formally lived in Los Angeles for a decade now; irregardless, lately I’ve had this distant itch that I’ve needed to scratch from sandier locations. I work from home and have been working from home for the last five or so years. It’s a wonderful life, but at the same time – it can make for some stir crazy mornings and cabin fever-esque afternoons. Thankfully, for the last few weeks, I’ve been blessed enough to tag along while my dad goes on a few work trips down to gorgeous and sunny San Diego, and every now and again I’ve also been jumping in the car with Danny and working from anywhere that cell phone service exists along the Southern California coast. 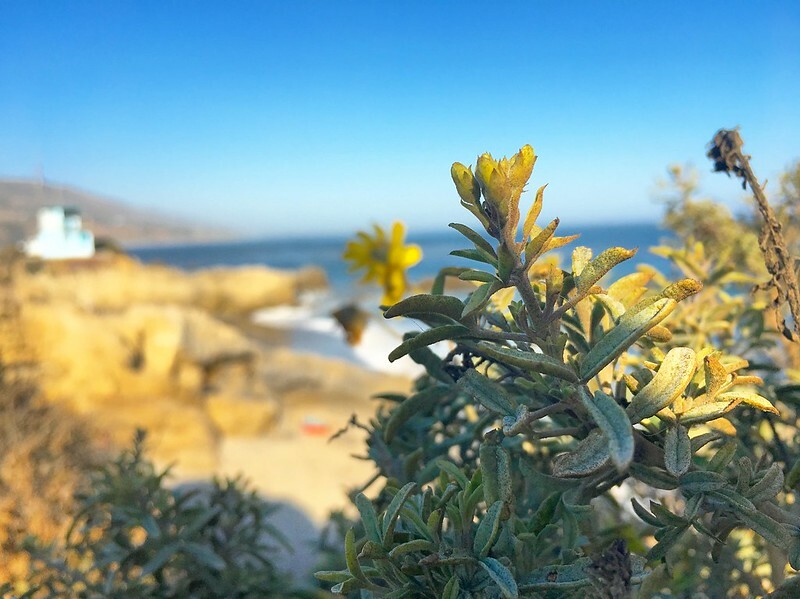 From Santa Monica, to Long Beach, San Pedro down to Orange County and San Diego – the California Coastline down here has a bevvy of beautiful beaches, ripe and ready for adventures. 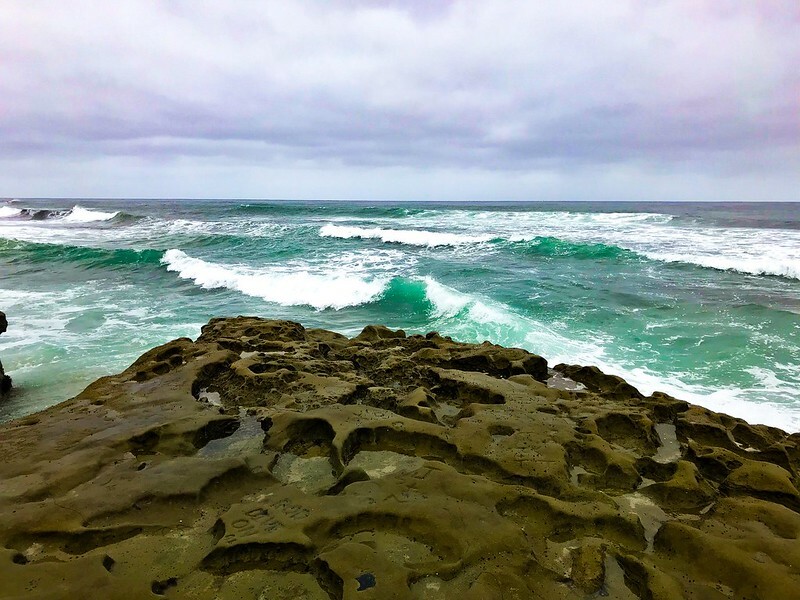 With seventeen miles of coastline and nearly 5000 acres of land, San Diego boasts an incredible amount of beaches per capita, each with their own unique charm, from Ocean Beach to Encinatas and back to Moonlight Beach – you simply can’t go wrong as you bounce from one sandy piece of heaven to the next. 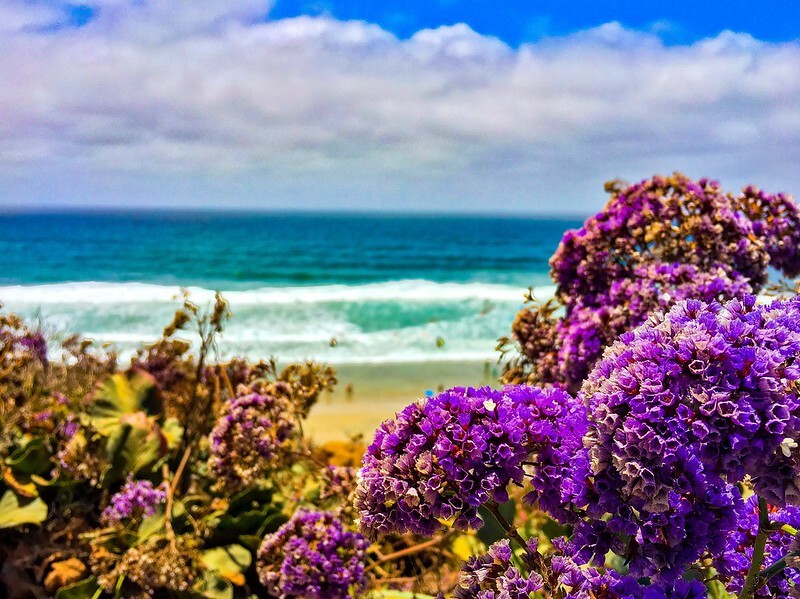 Yes, of course beaches will be crowded – have you met Summer in SoCal?! – so be sure to head there with plenty of time to spare and plenty of sun and sand to be had. Travel up the coast a bit and you’ll hit the beautiful beaches of Orange County and Newport, including the stunning 1000 Steps Beach. But I’ll be honest, the only version of the OC I like is the show – and it’s primarily because I can put it on mute. Anyhow, just a hop, skip and a jump up and you’ll reach shores of San Pedro and Angels Gate Park, where notorious scenes from my all time favorite movie were played out in the 90’s. Can you name the movie? I won’t give it away! Nestled between two coastlines in a sprawling green park that overlooks the coast, you’ll find the fabled ‘Koren Friendship Bell‘ in all of its vibrant glory and impeccable hand crafted detail. Los Angeles itself is known as much for the glitz and glamour of Hollywood as it is the menagerie of beaches against its coast. 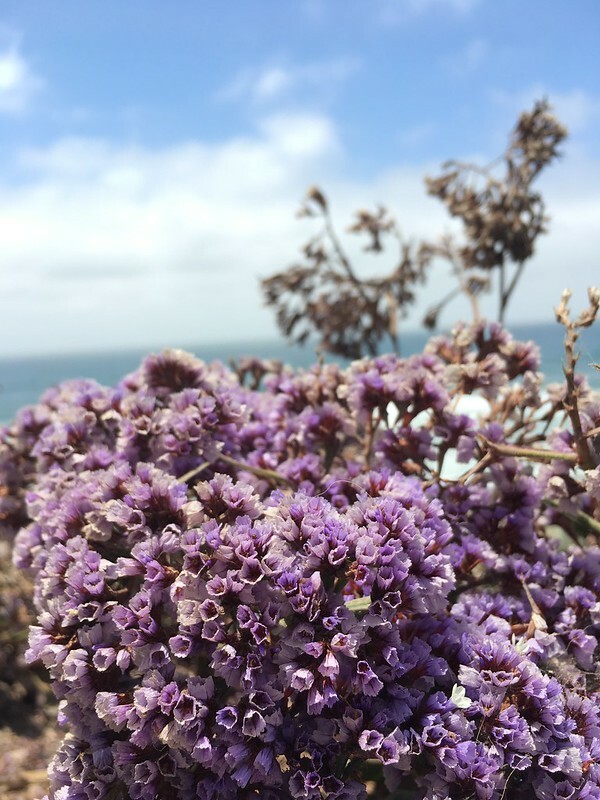 Venice, Santa Monica, Malibu, Point Dume – you simply can’t go wrong. Now, it’s definitely a personal decision, but Danny and I typically off for the off the beaten path locations with less people – the more of a tourist trap it is, the less peace, quiet and space you’ll have, you know – if you’re into that sort of thing. Hypnotically beautiful with brooding turbulence underneath, the Ocean water mimics the human condition: meeting new highs and pulsing lows, bringing rocky baggage ashore and washing herself clean of the past, pulling new ideas back undertow and ingraining them in her personality. It’s as if the waters have found themselves in the midst of mindful meditation that you can’t help but immulate: with this wave – I’m breathing in, with this wave – I’m breathing out. No matter the mood or emotion I bring to the water’s edge with me, it’s always washed away and I’m left feeling rooted, as the soles of my feet and tips of my toes edge their way in and around millions of grains of sand that each have thousands of years of stories to tell. Twisting my head to and fro to see as far as the eyes can see, I’m inexplicably drawn to the cascading of blues that measure where the sky and sea are drawn together in an almost hand painted gradient. It’s here, that I shed my snakeskin of the past to the salt and air and become again. Where do you go when your soul needs to refresh? Being a photographer is a bit like if you give a mouse a cookie: if you give a photographer a point a shoot, they’ll want a dSLR; give them a dSLR and they’ll want a prime lens; give them a prime lens and they’ll want a wide angle and a zoom lens; then they’ll want studio lights, a professional flash…and well, you get it – it becomes an addition of the best sort. From as long ago as I can remember, my step-mother would always have a camera attached to her hip. She captured poignant moments of an awkward childhood, from gleefully following my dad and I on our beach adventures or feeding ducks, and capturing birthday parties and basketball games; as I grew older, I found myself in awe of her keen eye – finding the simple beauty in nature, exploring minimal architecture, capturing the first bloom of a rose, or creating a mood with striking black and white imagery. At least once a month, the three of us would wander down to Stanford Shopping Center for an afternoon outing to the now defunct One Time Photo, enjoying some sorbet from the ice cream shop next door while we patiently waited for the film to develop. Wandering back through the photo store, I let my fingers unknowingly explore film from different ISOs as the printer that took up almost two-thirds of the store whirred with excitement. Then, I started stock piling disposable cameras – with a quick flick of the wrist, and the wind up flash, they became my quick introduction to pre-digital photography. Finally, when I was in high school, through a combination of technological advances and parents caving to their teenage daughter: I was given my first digital camera. Within the photo world, there’s an ever present debate between the merits of Canon versus Nikon, with both the Sony Alpha and Panasonic Lumix lines not far behind. But in my family, there wasn’t ever a choice – we’re a Canon + Mac family, through and through; so it began: first with a Canon Powershot, and then a Digital Elph. Fast forward to now, and the technology for your cell phone’s camera has caught up to the most basic point and shoots, and your most basic iPhone or Android has the rudimentary functions of a camera. How-the hell-ever, in a sense you’re still dependent on your technology to do most of the heavy lifting. Enter the DSLR. I had my first real introduction to them in college – when I worked in retail to make some extra cash, some of my coworkers were attending the Brooks School for Photography. I eagerly lapped up every iota of information I could as I sat in through product shoots and photoshoots; truth be told I moved to Los Angeles because of my love of modeling but it wasn’t until recently that I’ve learned how much I prefer being behind the camera, versus in front of it. As I forayed my way into the Music Industry five years ago – I realized cell phones and point and shoots simply can’t capture the depth and detail the way the professional cameras can; not to mention, with DSLRs – you can go from capturing a moment to creating a moment. 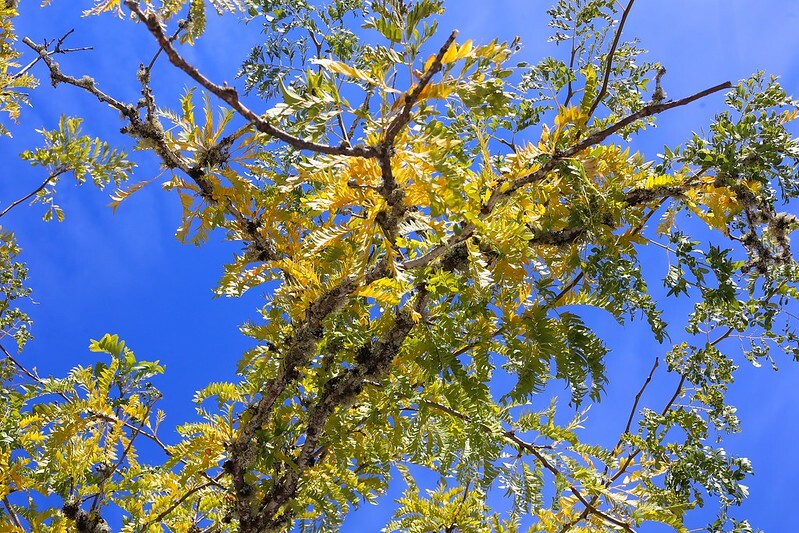 Leaving your camera in Auto relegates each camera function to its internal camera, meaning that even though you’re pressing the shutter to capture the photo – it’s actually the camera’s AI that determined the richness of color, depth of field and focus. Conversely, in Manual, when each camera function now relies on the user’s aptitude and emotion in the moment, twenty photographers could take the same photo and each produce a very different image. I’ll admit that for the longest time, the DSLR scared me – it was intimidating, clunky, with what seemed like way too many buttons but after almost four years of watching Danny make magic with the 6D, I’ve finally mustered up the courage to carry it around for the day and get a few pictures that I’m happy with. Back in the Spring two years ago while we gallivanted through Sequoia – there was something in the air that was so inspiring, it lured my creative nature out of hiding and brought it out to play. It was frustrating trying to understand settings on the fly, adjusting for almost each image to get it the way my mind’s eye saw it, but as is the thing with life: you can’t get better at the things you don’t try. Every once and a while for the next months after, I’d pick up the camera, fire a few images I was unhappy with and politely place it back where I’d found it – until I found the right resources, books and mentors to help me get my bearings. In the time Danny and I have been together, he’s gone from a self taught amateur to a contributor for Getty Images; it’s beyond impressive. What he always tells me is that everyone – every single one of us – sees the world through their own unique prism, and it’s only through the exploration of your own creativity that you can convey those images to everyone else. Regardless of whether you’re surrounded by gear heads, mentors or photographers, the best thing you can do is get some real hands on experience while stocking up on excellent resources. I started on Canon 6D for Dummies, which was a great introduction to all things DSLR from the bottom up: lenses, features, menus, camera set up and some more intermediate functions like HRD and Multiple Exposure images, setting up the WiFi and adjusting the White Balance manually. Even though making your way through the manual page by page might seem like a bore – after reading through Canon for Dummies, it also felt absolutely necessary to learn the core tools of the trade. Next time you pick up a camera, do yourself a favor and just play around with the settings, comparing images to fully understand what each button can do. Next up, I migrated to the more advanced Canon 6D: From Snapshots to Great Shots, which was more of a top down approach to the settings based on epic images, along with some informative asides on F-Stops, ISO and Shutter Speed while diving into each function of the camera; and let me tell you: this is the most important thing to understand. The Shutter Speed is the length of time that your lens is open to absorb light,while the aperture – or F-Stop, controls the depth of field that the camera focuses on. Finally, the ISO controls the cameras sensitivity to light and the ways the camera processes detail. I just got my paws on The Photographer’s Playbook which has a menagerie of photography exercises for anyone, amateur to professional. Here’s the thing – you can read books til the cows come home, sit in on photo shoots as the second shooter or an assistant, or pull up Youtube tutorials to walk you through the basics but the best experience will always be true experience. If you’ve been itching to pick up a camera, just do it – you’ll be surprised to find your mind working in new and creative ways to capture a moment, and trust me – you’ll be just as hooked as I am. For anyone looking to jump in – Best Buy has amazing Open Box deals, as does Amazon, while F Stoppers has a great online repository of resources. Photo bugs – what are some of your favorite pieces of gear? Let me know in the comments below!